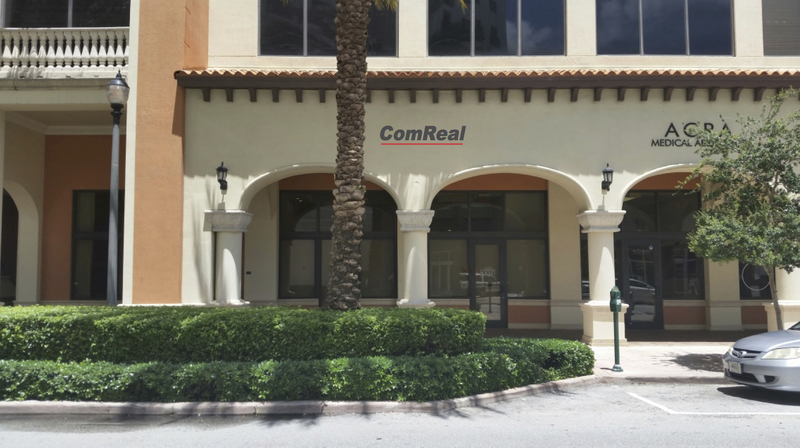 November 2015 – ComReal Miami-Coral Gables is pleased to announce its acquisition of 51 Merrick Way in the City of Coral Gables. Principals Stephen H. Smith, SIOR, John Lonardo, CCIM and Ed Redlich, SIOR, CCIM purchased the street level office/retail property on October 1, 2015 as CASTANHA XII, LLC. Purchase price was $690,000 (or $415 per sq. ft.). 51 Merrick Way is an office / retail component of 55 Merrick Way a mixed use project strategically located in the Coral Gables’ Central Business District. 51 Merrick offers direct access to the renowned business areas of Coral Gables, including 5 million+ Sq. Ft. of commercial office space and 1.5 million Sq. Ft. of retail space, plus a list of new construction and planned development projects “coming soon”. The location is within one block of the newly approved construction “Streetscape Projects” on The Miracle Mile and Giralda Avenue. Today’s commercial real estate professionals are operating in “real time”. As such, their office facility, tools and technologies must all support both their clients and their personal livelihoods. In introducing ComReal | Miami – Coral Gables, LLC, ComReal is also introducing a new business philosophy by bringing on board selected, seasoned professionals with equity participation in the individual companies as well as equity participation in specific real estate investment ventures such as the acquisition of 51 Merrick. We are delighted that John Lonardo is participating in the new concepts and has assumed a leadership role in ComReal | Miami – Coral Gables. Tags: 51 merrick waycomreal coral gablesComReal Miami Inc.